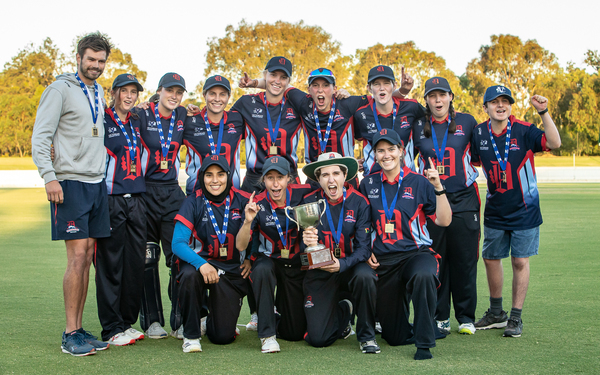 In the aftermath of Dandenong clinching a dominant Women’s Premier Cricket Twenty20 premiership on Wednesday evening, coach Andrew Christie spoke of the rapport his group has developed this year. 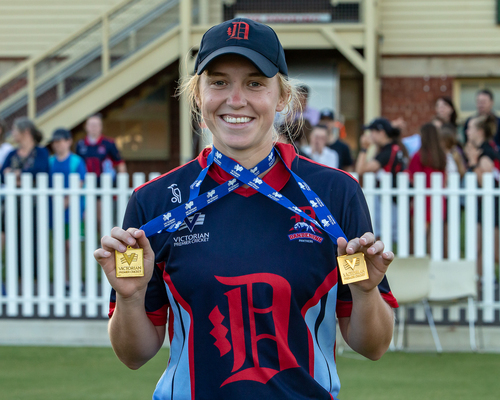 After downing Essendon Maribyrnong Park at Junction Oval in the Twenty20 grand final to claim their first piece of silverware of the season, Christie was full of praise after reflecting on the progress of his champion side this season. “They’ve got a sense of purpose and togetherness, and they’re enjoying their time together, which is a really good thing,” he said. “The standards have been set with training, so I’m excited it’s all come together. The Panthers made light work of their opposition after returning international star Sophie Molineux carved 38 off 30 balls to help guide the premiers to the eventual match-winning total of 8/107. Christie said that Molineux’s presence around the group was instrumental, and went beyond just her extraordinary capabilities on the field. “It was probably that calming influence that she had – she’s obviously done what she’s done in recent times, but the fact that she can go up to the girls, and the girls can go up to her and ask for advice, shows she’s really happy to help,” he said. But it was the ball that the Panthers were at their frightening best – with Kim Garth’s (5/10) blistering display with the ball completely shell-shocking the Bombers, who were eventually rolled for just 63 in the 17th over. Garth took some vital wickets – including that of all-rounder Molly Strano – to help inflict plenty of early damage, and ultimately, the Bombers couldn’t recover from 5/22. Molineux (2/9), Chelsea Moscript (2/17) and Maryam Omar (1/11) also all contributed strongly with the ball. Christie said that the heat and pressure was really on all game, with 18 wickets taken for just 170 runs, and said that the occasion made every run difficult, but all the more important. “It (the scoring) had a lot to do with the grand final aspect – talking to Sophie Molineux, she said at times it was difficult to play, but she put the ball wherever she wanted,” he said. Christie praised his bowlers, especially Garth, for producing such a well-rounded performance, and said that his group is now starting to perform at an incredibly high standard. “Kim’s probably been struggling a bit in recent times, and for her to come out and get five, it’s probably a relief to her,” he said. “It was almost as if when she got one, the floodgates just opened, really – the squad on a whole have been doing great things, we’re not relying on one person. It was Kim this time, another day it might be Chelsea (Moscript), Gags (Emma Gallagher) and then Courtney (Neale). “That’s the luxury of having a really talented squad – if someone’s not playing, we have someone that can come up and do the job. Looking ahead, Christie hopes it’s the catalyst for his Panthers to push on and claim a spot in the Premier Women’s finals and search for more silverware, where they are currently sitting fourth with five rounds to play. “We’re there or thereabouts, and it comes down to the next few weeks – hopefully, we can get the results and sneak into finals,” he said.